Do you use rBGH (recombinant bovine growth hormone)? No, this substance is not allowed in Canada. 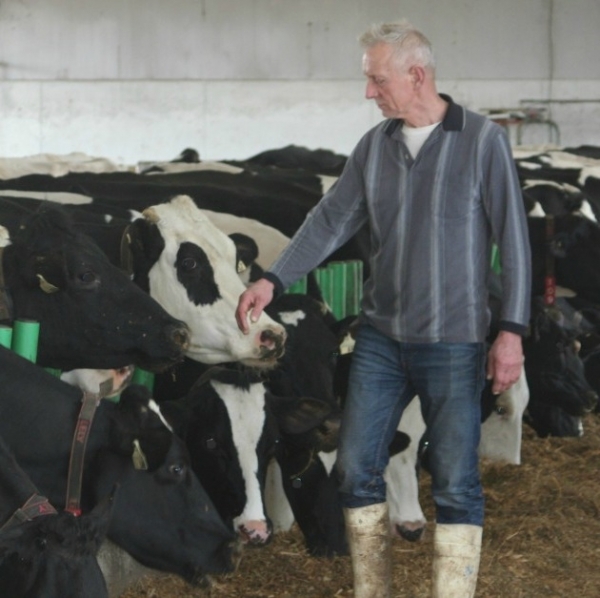 Do your cows suffer from mastitis? 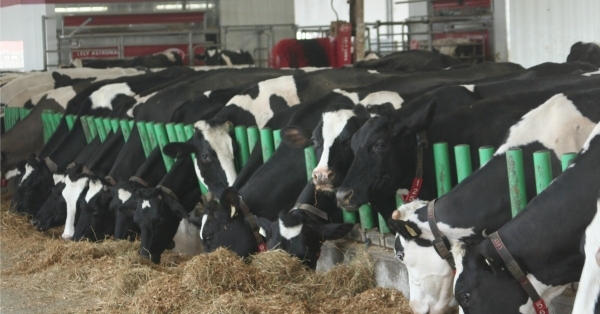 Acute mastitis, a potentially life threatening disease is very rare in our herd. Sub clinical mastitis does occur but can be quite readily treated with naturopathic remedies. Several of our practices help keep the cows happy and healthy including using a compost pack, access to pasture in the warmer months, ventilation in the barn and good nutrition. Regardless, we do monitor each of our cows closely for any signs of illness, including mastitis. Are your cows ever lame? 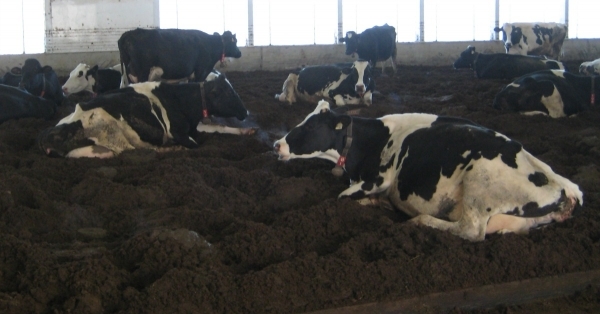 Cows can become lame from standing on concrete floors or from crowded conditions. When we built our new barn we purposely installed a compost pack that provides a soft cushioned surface for the cows to walk and lie on. What happens to your male calves? Most of our male calves are sold to a neighbour, where they are raised to maturity and then sold as beef. They are not raised for white veal. Their move to the neighbours' farm usually takes place when they are 1-2 weeks old. Male calves that remain on our farm are raised to maturity and sold through our farm store as beef. To learn more about calves visit our "About Our Calves" blog here. How long do cows live? On average, we keep our cows for about 5 years, with some staying with us up to 10-12 years. 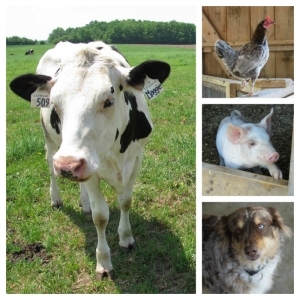 There are several reasons cows may leave our herd. 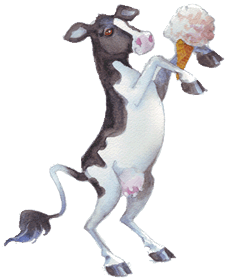 Their milk production may be low, they may have fertility issues or other health issues. When we determine that a cow will no longer be part of our herd she is either sold to another farmer or processed for meat.